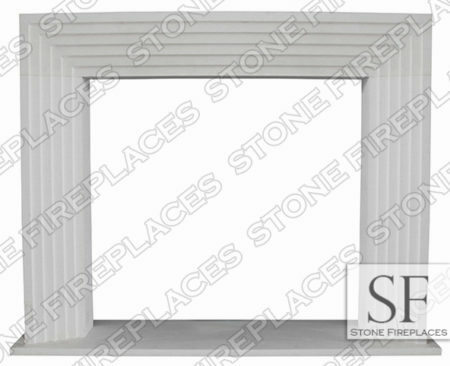 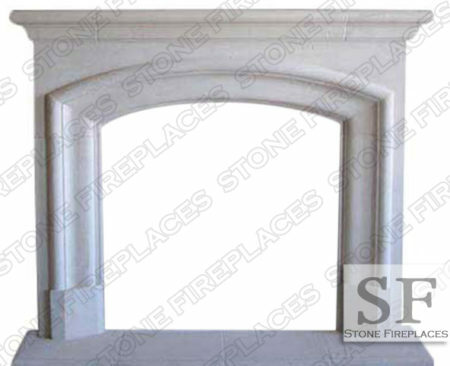 Here the Beveled Modern Fireplace is pictured with an arched opening. 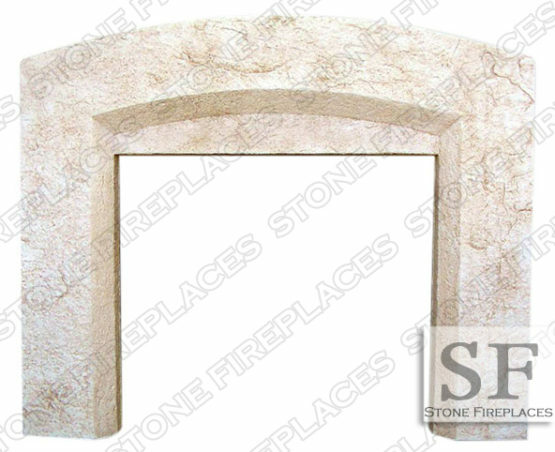 It can be made with a straight header as well. 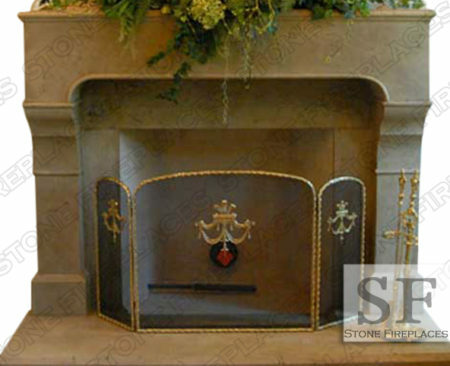 These simple contemporary designs are become more popular. 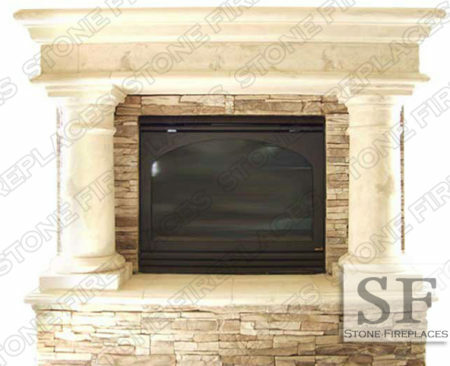 Here is another example of a modern surround. 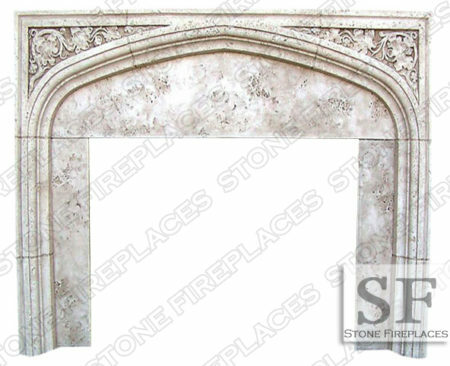 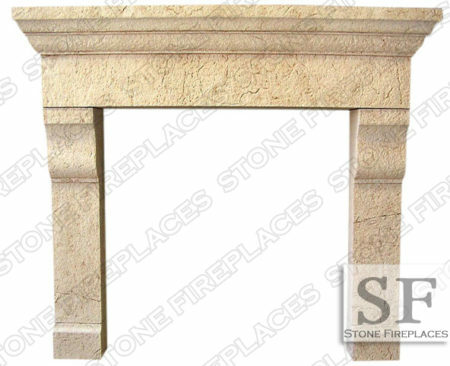 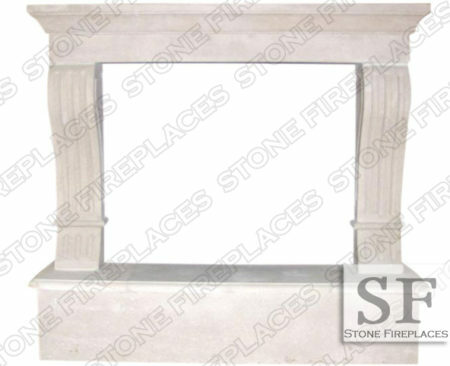 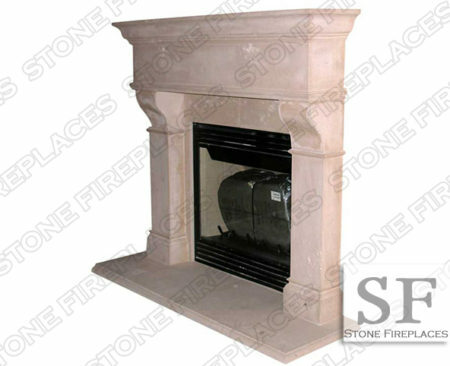 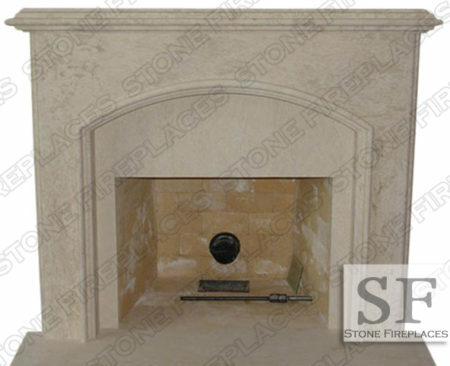 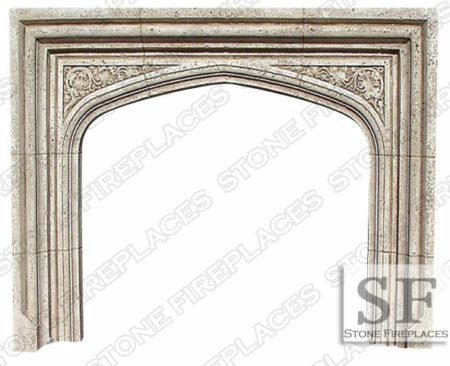 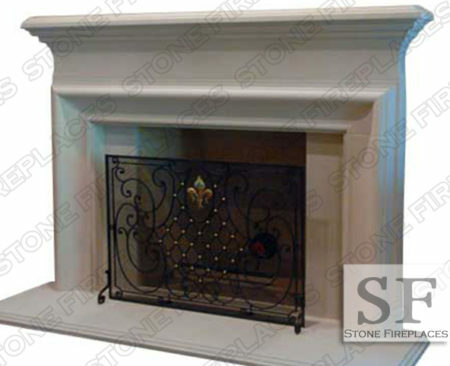 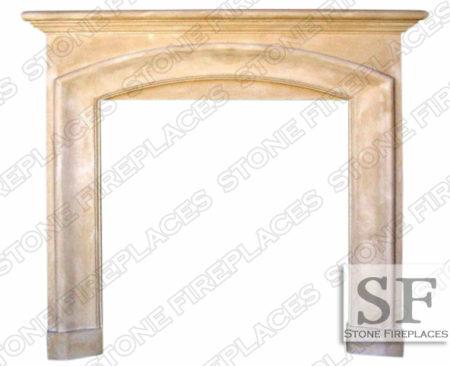 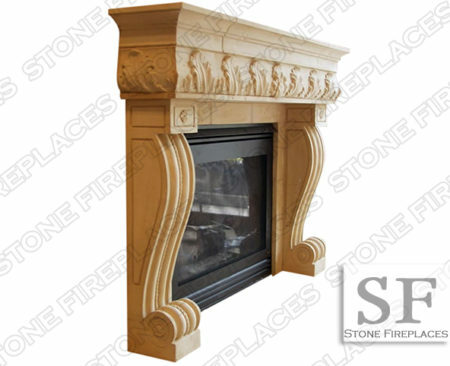 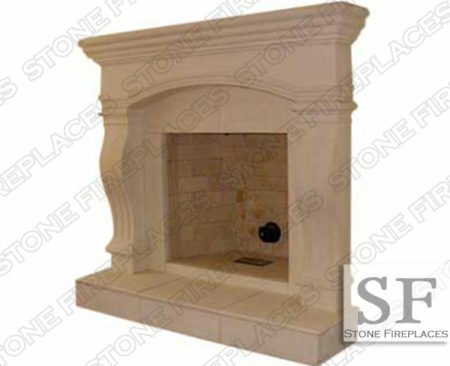 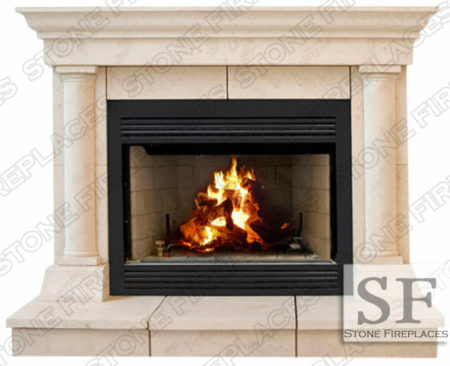 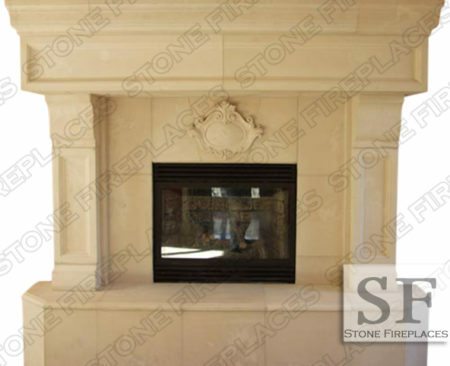 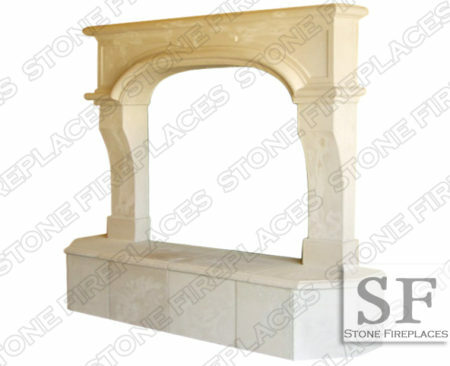 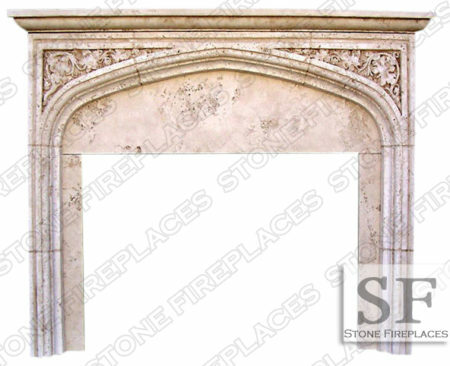 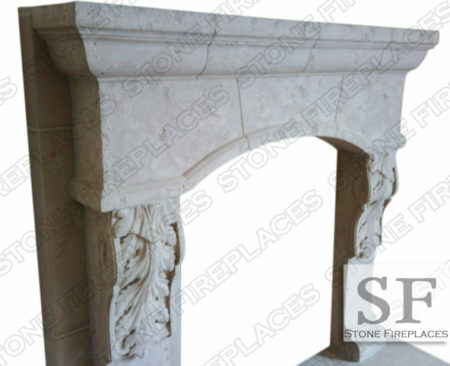 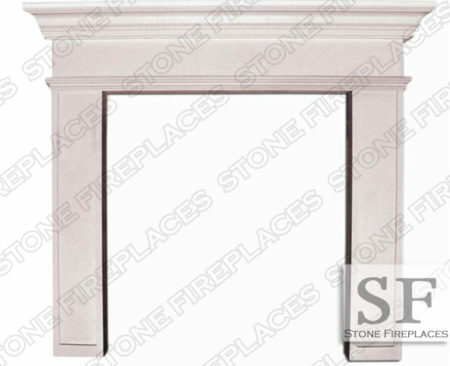 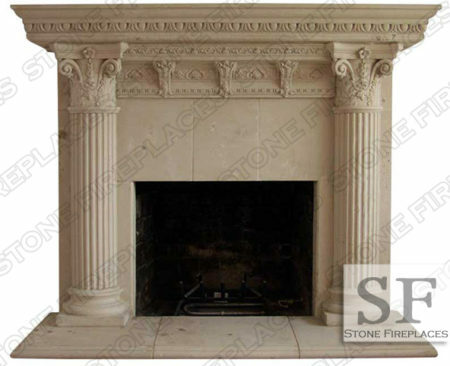 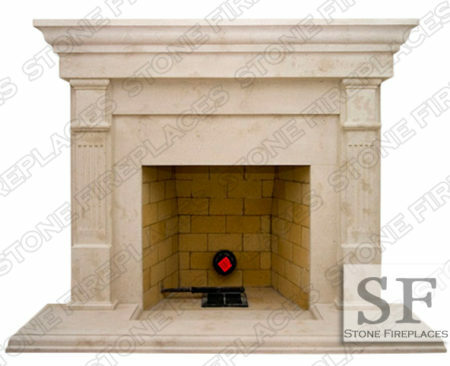 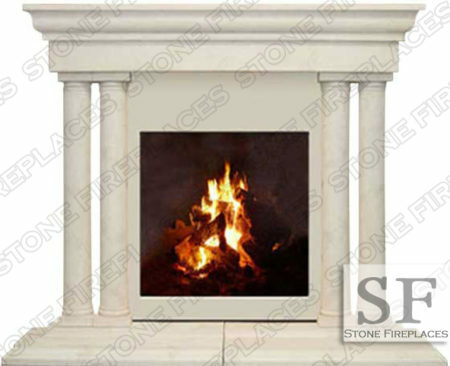 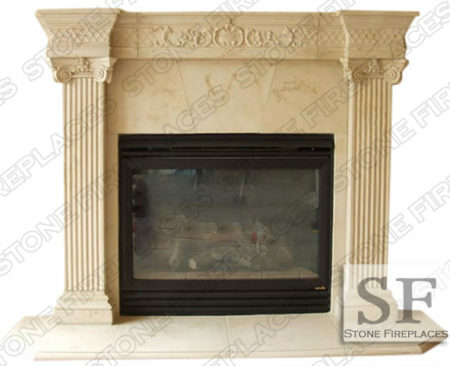 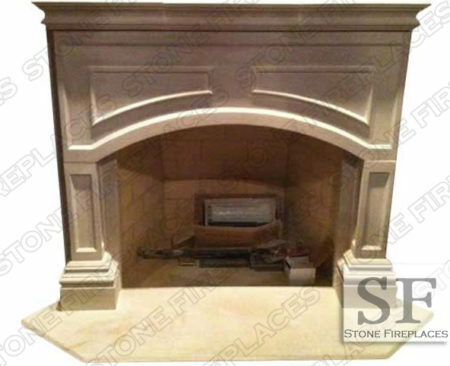 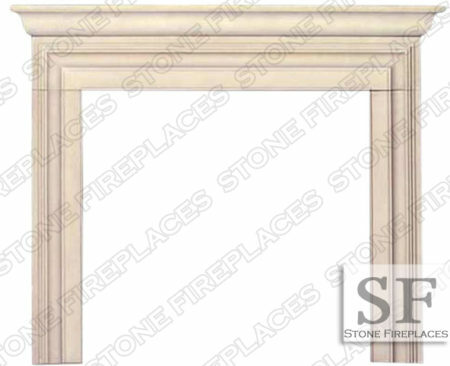 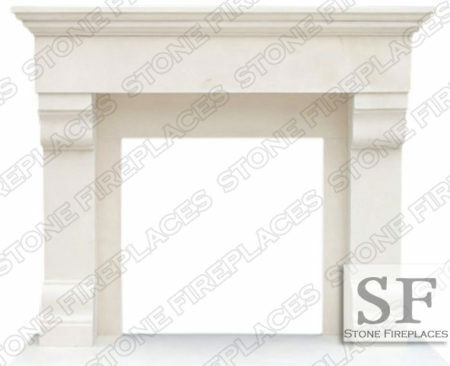 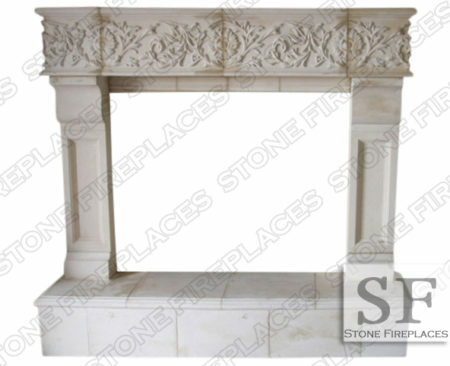 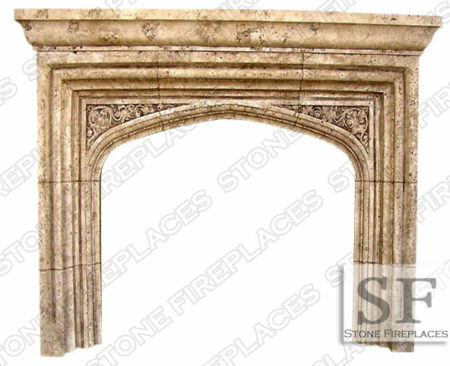 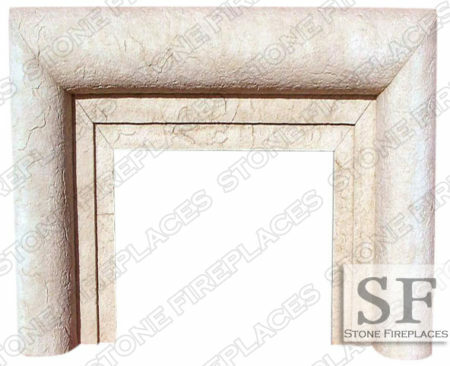 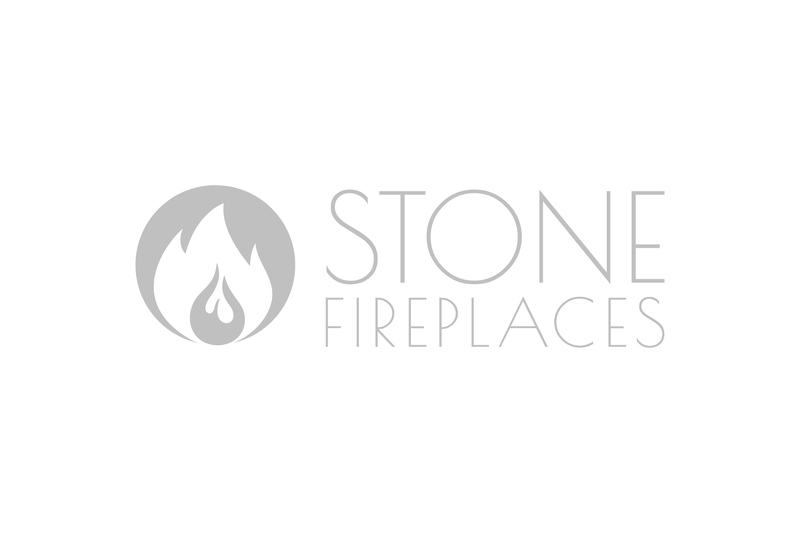 Most of our mantel designs can be made from various stone such as marble or limestone. 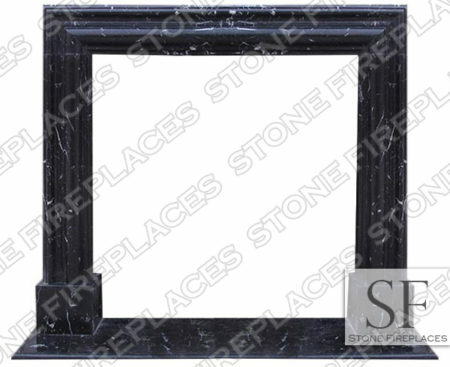 Black Marble is a trending color. 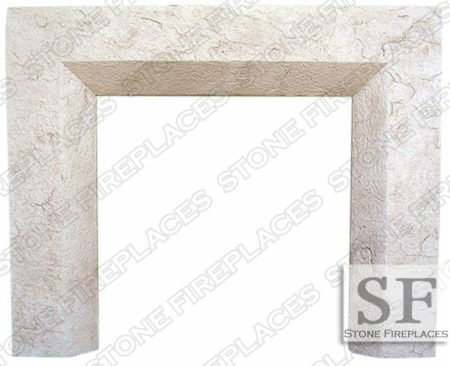 This design can conform to any space. 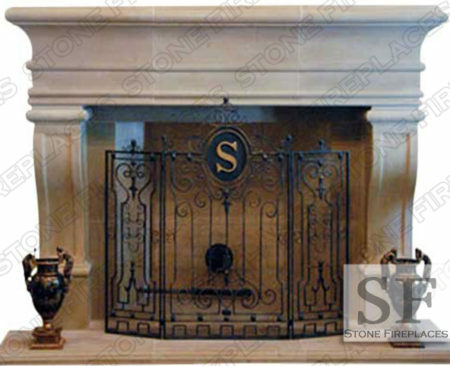 By using a striking marble like the black with white veining it will draw attention.